Beware, a BIG Forex Scam. Read before buying. On a daily basis we get emails calling one or other Forex service a scam. Virtually every Forex trading service, product and broker has been called a Forex scam and I am sick and tired of this generalization. In most cases the people calling these services SCAMS have no personal experience on which to base these claims at all – it is all just gut feel based on bad experiences in the past, pure ignorance or unrealistic expectations and pure hear say. No hard facts and when there are hard facts they are misinterpreted. Don’t get me wrong I am not saying there are no SCAMS out there but most services being called SCAMS do not deserve the term and I find that very upsetting and unfair. Having spent over $40 000 on courses, EBooks, EAs and Indicators over the last 10 years I can honestly say that I have not been exposed to any true and intentional scams. I have either learnt something new or had previous trading concepts confirmed by most Forex trading resources. Sometimes concepts were not clearly explained or had highly specific and limited times that they would work but on the whole the suppliers of Forex trading material were trying to convey their perception of possible ways income can be generated from the Forex market. Of the 100’s of Forex resources I have been exposed not a single one gives the complete answer, but that does not make them all scams. However when combining the knowledge gained from all the courses it was possible to find a number of very high probability personalized trading techniques that met my own trading psychology. In general people people expect too much from a single $30 to $200 courses, EA’s, eBooks etc and that is probably the major problem. So..What is a FOREX SCAM? Another definition could be: Where a business uses false information to knowingly defraud clients and knowingly provides a product or service inferior to marketing claims. I would be interested in any other definitions of SCAM that anybody can come up with. Why do Forex Methods look like scams? 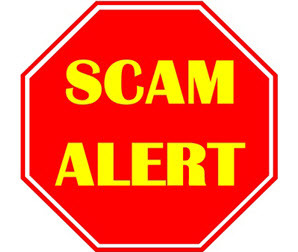 So why do some legitimate business, EA, Courses, Alert services get called scams when they do not deserve the term. The Forex industry and market is very volatile and changes personality very suddenly and often. Therefore, is it fair to call an EA or alert service a scam if results are not up to expectations due to these changes? In general Forex trading techniques, traders, EAs, alert service, Managed fund services etc. can be grouped into 2 big and opposing trading approaches. They are either trend following or ranging market methods. If a trend following technique is used in a trending market it will make money. It is very likely to lose money in a ranging market. In the same way a ranging method will make money in a ranging market and lose money in a trending market. As simple as that. For those reasons it is almost impossible to find a method that will consistently make profits from day to day, or week to week or month to month. In a nutshell that is the reality of the market and about Forex trading. It is inconsistent, volatile and tricky. Is it fair to call methods that don’t work in this challenging market SCAMS. So is it fair to call a method a scam if it is failing because on a change in market conditions. Remember failure is normal in the Forex Market! It is very, very easy for people to look at a historical chart and say but surely it was quite clear that the market was trending or ranging. Believe me, seeing these changes due to the wave nature of the market are probably the most difficult thing to see in the moment. The wave nature of the market very often makes trends and ranging markets look temporary. The other inconsistency is Forex trader experience. A highly experienced trader may purchase a system which adds no value to his trading experience or knowledge and because of that calls the system a scam. The same system may add considerable value to 90% of purchasers with less experience and find it of value. In all marketing activities (not only Forex) it is good to market when things are going very well. So it is normal to market great trading results during a period ideal for a particular method. Marketers are not SCAMMING when they do this – it is a normal common sense and a marketing process. Who in their right mind would market results that are extremely bad? Many users of methods join when they are peaking and then go into a draw-down soon afterwards and then regard the method as a scam. As we have seen it is in fact normal for Forex Markets to go through favorable and unfavorable phases. Do you think they have been scammed? To make things worse users join a service or start using a technique when it is doing well and leave it when it is doing its worst. This ensures that they are always buying high and selling low. The worst thing any investor can do. Does this mean that they have been scammed? In general the marketing that occurs in the Forex Market has raised Forex trader expectations to totally unrealistic levels. Many Forex traders believe that it is possible to be highly profitable every day, every week, every month and every year. They believe that they can purchase a Robot which will be profitable all the time and trade automatically and continuously for ever. They believe that there are huge gains to be made in the Forex market and can’t understand when this does not happen. They believe they can make huge returns with very little risk by using the method promoted. They believe that Forex trading is easy. So when this does not happen the Forex method is to blame – it is a SCAM. The reality is that returns of 30% to 60% a year are exceptions. The risk / return ratio applies. To make high returns you have to risk more. Most exceptional returns that are marketed are based on unhealthily risk levels. If a method has an honored money back guarantee you cannot call it a scam – ever. Why not? You are given the opportunity to test the method for yourself, so do that. Even after testing it bear in mind the basic short comings of Forex methods discussed above. Always try to base your opinions on your PERSONAL experience or experience that you can PERSONALLY verify. Comments on Forex Peace Army etc. do not count. Most of those comments are placed by ignorant Forex traders who don’t know about the basic inherent weaknesses of the Forex Market. Often competitors place the comments to discredit their competition. There are many other limitations on that information so personal experience is still the best. Keep your expectations realistic in spite of what being stated in marketing material. If you do not find that a particular method does not meet your personal needs just move on to the next Forex trading method. There is no need to get fixated to the extent of calling a method a scam. That is just a waste of time. Make 100% sure you are correct in your assessment and that your assessment in not based on ignorance or a lack of knowledge. I see hundreds of brokers being called scams because of legislated withdrawal requirements. Make sure your experience is based on your personal experience and based on actual results. So an opinion of “this will never work” does not count as there is no hard evidence. Make sure that you have read and watched the marketing material in great detail so that you are 100% sure about what you are buying. Many people buy what they want to buy rather than what is being described. Use your Forex trading experience and knowledge to evaluate the method you are buying as best you can. Have realistic expectations. If the results are highly optimistic ask why – how high is the risk. Develop the ability to test and assess methods. Verify EA marketed results or use other methods to test the validity of the method. Don’t be so desperate that you have to rely on the success of the method you are considering to purchase for the future of your Forex and financial success. Consider that it may not be perfect for the current trading conditions or appropriate to your current Forex experience level. It could fail in spite of it not being a scam. If you are uncomfortable about a particular method just disregard it and move onto the next one. Have a positive attitude – If you think every Forex product or service is a scam you are guaranteed to find reasons why they are. If you treat them as positive learning experiences and squeeze every bit of good out of the use of the Forex product or service you will be in a better position to succeed. Do you think the failure of Alpari UK was a SCAM or just one of the normal risks of trading Forex? So please consider the above article before you cry “SCAM”. I would be very interested in any comments and experiences you have in respect of SCAMS. Excellent comment, a very valuable article.Your site has become compulsory reading. I believe that you have it in a nutshell, many people do not understand the forex market and are ready to mark anything that does not make a profit a scam. Alpari was the casualty of the market and what the CHF did to their currency, and I know that Alpari was not the only one that went under, fortunately none of my brokers where affected. It is always a case of buyer beware, and be prepared to give time to evaluate a new service/product etc. As you say they are not scam’s it’s just that they are not very good in the long term. 100% right Alex. Get rich quick schemes don’twork in the financial world. Bottom line. Do not buy anything for trading. there is enough free material to learn online. Yes the problem is there is too much that is free – finding the free material that is of real value is an art and requires experience. One also has to question why it is given away for free.